According to an official IRS ruling from Notice 2014-21, digital currencies are treated as personal property for taxation purposes, thus making them legally eligible to be held as assets within a Self-Directed IRA. 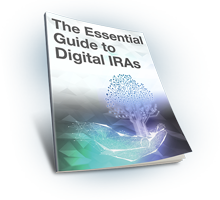 Consequently, anyone who converts their existing retirement account to a Self-Directed IRA can allocate a portion of their savings into digital currencies with zero penalty. (Only in very rare cases are penalties possible.) Since digital currencies are treated as personal property, they receive tax-deferred status, allowing them to appreciate in value without immediate tax liability. Any profit from buying and selling digital currencies within your account can be reinvested in other retirement assets and retained tax-free until taken as a distribution.